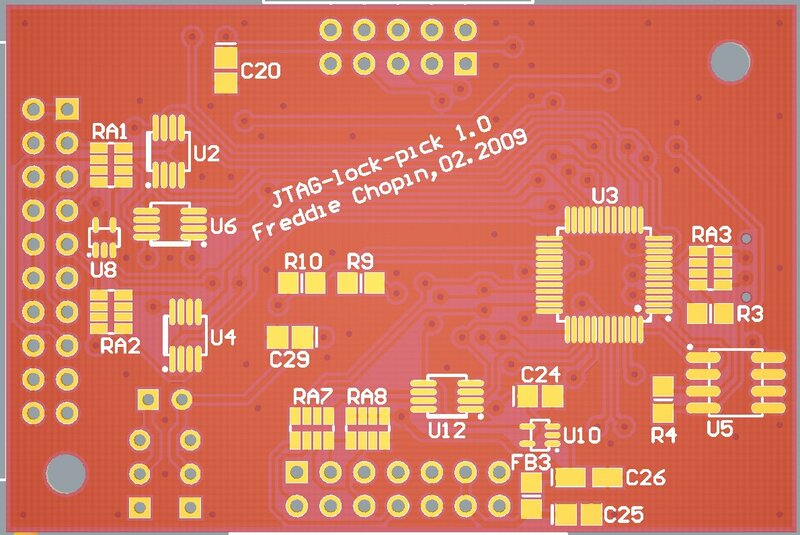 In Download > Projects > JTAG-lock-pick final schematic for new ARM JTAG was posted - the project will be named JTAG-lock-pick. You can find more info on elektroda's board (Polish only). People interested in this project are encouraged to download the file. 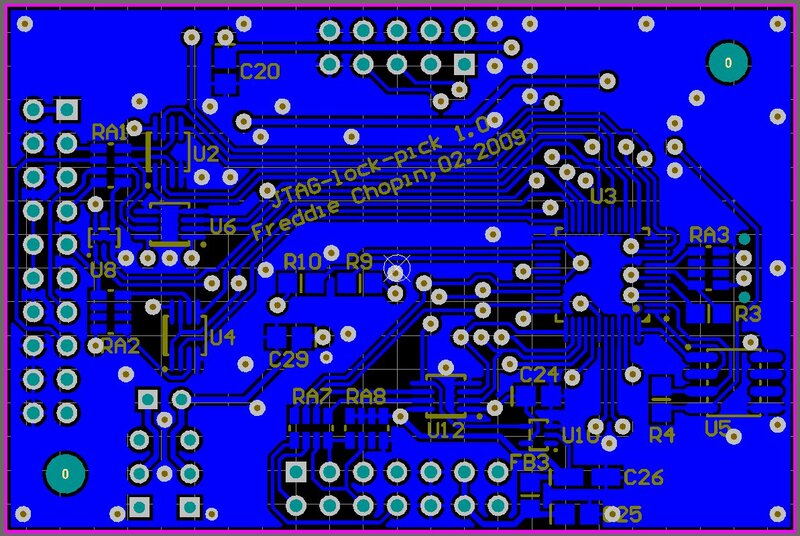 The PCB presented below is based on that schematic. 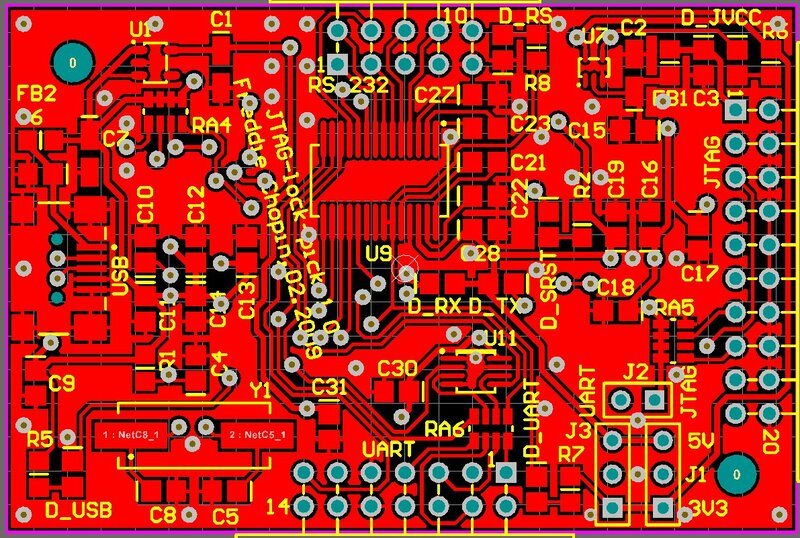 many minor changes like order of signals in resistor packs or dual buffers. 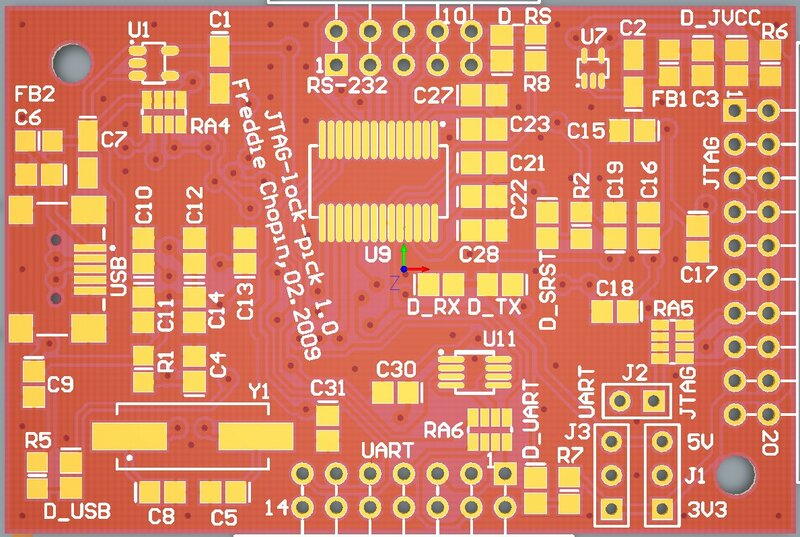 I'm ordering the PCBs tomorrow (; They will be scheduled for second week of March. Stay tuned!